In the old times, a letter of introduction was used by a person who wants to be introduced to another person. He often asks a third party to send a letter to have him introduced to the recipient–all for the sake of etiquette. Today, letters of introduction are far more widely used in business. Often in our customer-centric business environment, a letter of introduction is used to introduce a new client representative to a company’s customers. 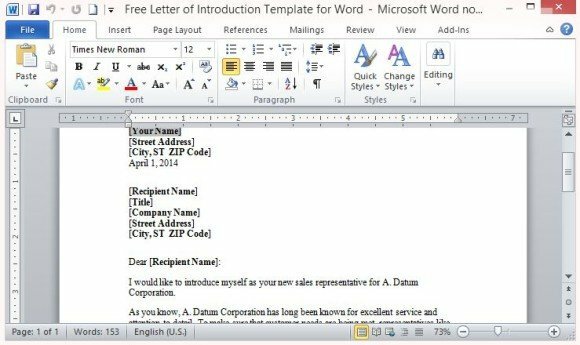 Although there are more types of letters of introduction used in business correspondence, this article will be all about the representative to client letter of introduction, for which Microsoft office has a template. 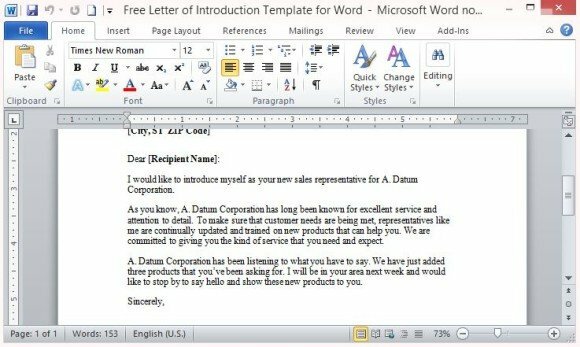 The Free Letter of Introduction Template for Word can be used to inform your clients that you have taken over their accounts and that you are committed to customer service. 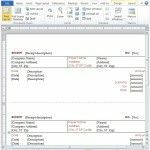 This Free Letter of Introduction Template for Word works best in Word 2003 or higher. It is a one-page document that outlines the standard letter of introduction format. 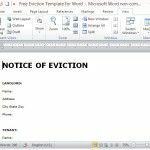 It contains a header with your name and address, and the name, company name and address of the recipient, which is the client. Anyone who wants to impress a new client must put his best foot forward. Thus, writing a letter of introduction must be clear, straightforward and informative. It should also be written in a way that would make your client look forward to meet and get to know you. 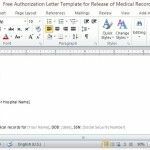 This Free Letter of Introduction Template is professionally written to be formal and yet appealing to any client. This template builds up the company you work for, reminding the client of the merits of the company. It also reassures the client of quality customer service and of your commitment to make your client happy. 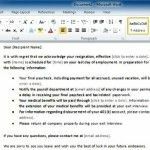 This letter of acknowledgement template also seamlessly adds a touch of expectancy as it gives the client something to look forward to as he meets with you. 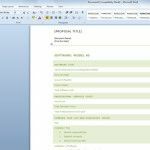 Of course, as with many other Word templates, this Free Letter of Introduction Template for Word is fully customizable. You can print this into your company’s stationery or your company’s letterhead. You can also feel free to modify the content or the body of the letter to suit your preference or make it as personal as you want it to be. With this template, you can be sure to not only ease in your client into the change of having you as the new representative you can also make your client actually look forward to meeting you.